For over 20 years, Cristina has created award-winning visual and interactive experiences in print, identity, and digital design. She works at the creative intersection of visual design, interaction design, UX, and CX and has created websites, mobile apps, identity systems, print collateral, ecommerce systems, and advertising. 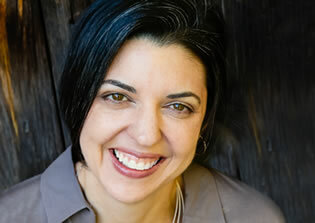 Her approach has been polished over years of solving visual, interaction, and marketing challenges. She starts from a rapid and deep understanding of the communication needs, business goals and the target audience. This leads to the quick formation of varied and targeted solutions. Then, owing to her deep experience, these designs are iteratively optimized, quickly producing the precise experience needed for the audience and the client goals. She shines when clients need to communicate complex ideas clearly and quickly. Cristina has worked with the following brands: The Home Depot, BellSouth, The Coca-Cola Company, Blue Cross and Blue Shield of Tennessee, Walmart, Balfour Beatty, Georgia Tech Research Institute, Hunter College (CUNY), TermScout, Motive Medical Intelligence, Fujitsu, Publix Supermarkets, Fleet Capital Leasing, WellCheck, NYSE, NFL Shop, The Hermitage Museum, and Morgan Stanley Dean Witter.